Geraldton is a coastal city in the Mid West region of Western Australia, located 424km north of Perth.At June 2015 Geraldton had an estimated urban population of 39,825. Explore the numerous day-trip ideas around Geraldton: Kalbarri (Shellhouse Grandstand, Port Gregory Beach, & more), Northampton (Oakabella Homestead, Tea Rooms and Campground & Elbenjo animal sanctuary) and Western Flora Caravan and Tourist Park (in Eneabba). 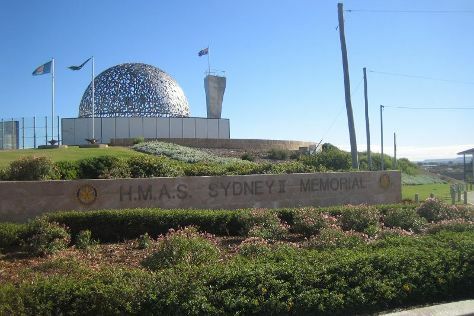 Next up on the itinerary: browse the exhibits of HMAS Sydney II Memorial, kick back and relax at Pot Alley Beach, head off the coast to Abrolhos Islands, and get great views at The Loop and Z Bend Gorge. To find other places to visit, more things to do, reviews, and other tourist information, you can read our Geraldton trip planner . Sydney to Geraldton is an approximately 9-hour flight. You can also drive; or do a combination of bus and train. Due to the time zone difference, you'll gain 2 hours traveling from Sydney to Geraldton. When traveling from Sydney in January, plan for a bit warmer days in Geraldton, with highs around 38°C, while nights are about the same with lows around 21°C. You will leave for Byron Bay on the 1st (Fri). Venture out of the city with trips to Watersports Guru (in Kingscliff), Tropical Fruit World (in Duranbah) and Alstonville (Summerland House Farm, Victoria Park Nature Reserve, & more). On the 9th (Sat), give your taste buds a day to remember with a local gastronomic tour. Spend the 18th (Mon) exploring nature at Bundjalung National Park. 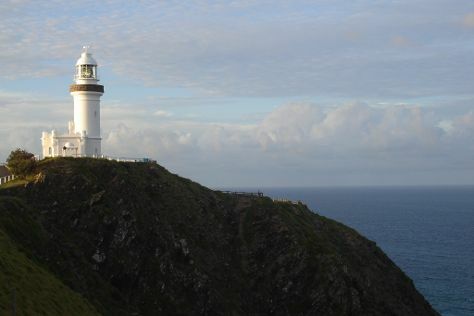 There's still lots to do: trek along Cape Byron Walking Track, soothe aching muscles at some of the top local wellness centers, glide peacefully along the water with some of the best stand-up paddleboarding in the area, and take a tour by water with Boat Tours & Water Sports. For reviews, photos, more things to do, and tourist information, you can read our Byron Bay route site . Do a combination of flight and bus from Geraldton to Byron Bay in 12.5 hours. Alternatively, you can drive; or do a combination of bus and train. Traveling from Geraldton to Byron Bay, you'll lose 2 hours due to the time zone difference. When traveling from Geraldton in March, plan for little chillier days and about the same nights in Byron Bay: temperatures range from 32°C by day to 20°C at night. Wrap up your sightseeing on the 28th (Thu) early enough to travel back home.